As the first mass-priced electric car with more than 200 miles of range to hit the market, the 2017 Chevrolet Bolt EV has attracted a great deal of attention. It's won numerous awards, including the Green Car Reports 2017 Best Car To Buy title, and received rave reviews from a wide variety of media outlets. But what do actual owners think? While Apple cofounder Steve Wozniak, Science Guy Bill Nye, and probably other celebrities have now taken delivery of their Bolt EVs, we wanted to hear from regular owners. 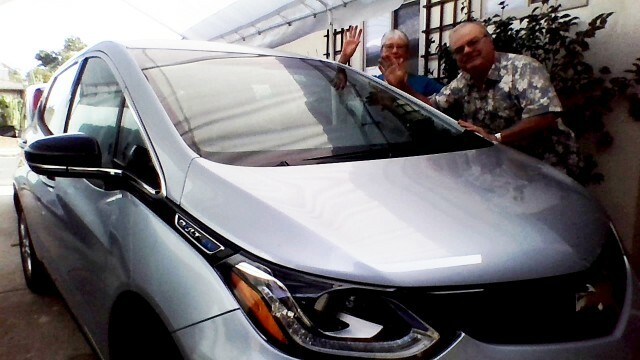 Enter John and Mimi Porter of San Diego, California, who graciously shared their first impressions of the new silver Bolt EV they've now been driving for a couple of weeks. What follows are John Porter's words, edited by Green Car Reports for comprehension, style, and length. So far, the Bolt EV has been great. It's so quiet and powerful, I have trouble keeping it under 70 mph on our San Diego expressways. We've named it "Lightning." Our other car, a 2012 Mitsubishi i-MiEV, is called "Silver Bullet", because we bought it in April 2011 on the day President Obama addressed the gas-price crisis, saying, "There's no silver bullet that can bring gas prices down right away." Both cars are charged using a General Electric home charging station. 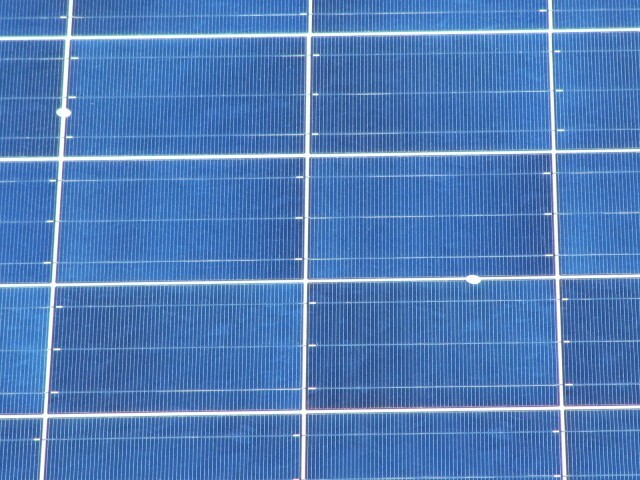 And we have a 17-panel photovoltiac solar system on our roof to help reduce the cost of "fueling the cars." We just about break even, every year, for car charging and household electricity. I’ve followed the news about the Bolt EV and, last month, I rather unexpectedly found myself owning one. First, a little background on how we got to the point of buying an electric car (the Bolt EV is actually our second). My wife and I are retired and live in Southern California, meaning we often see most of the different electric cars on the market, including those limited only to California. Ten years ago, I became enamored of the potential for energy from sunlight and equipped our motorhome with solar panels to accommodate boondock camping without the need for a noisy generator. That was an interesting and rewarding Do-It-Yourself project, and my success expanded my thinking about our house. Because SDG&E, our local electric company, had been increasing rates regularly, I planned a home solar system. Luckily, I found a solar engineer and a solar electrician, who took me under their wing with advice about designing one and meeting local codes. The project took a good six months—and during that time, it occurred to me that adding six extra panels would take care of charging an electric car. So our system expanded to 17 panels. I had seen electric cars, and driven a Smart Electric Drive through the Car2Go car-sharing network. I was impressed by its performance and quiet ride, though it was disconcerting having the rear window so near the back of my head. It was cramped, too: not even a place for my golf clubs. 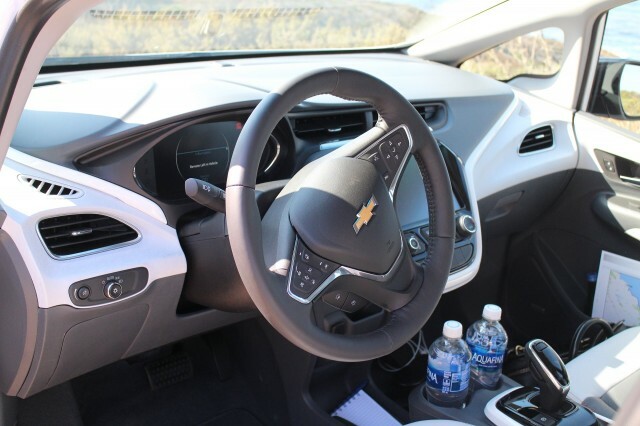 I tried a Chevy Volt that belonged to a friend. It was a beautiful car, but designed for a younger crowd that likes to ride low and doesn’t care much about visibility. A Nissan Leaf looked like a possibility, but it too was relatively low, and I had heard about battery problems in a hot climate in earlier years. 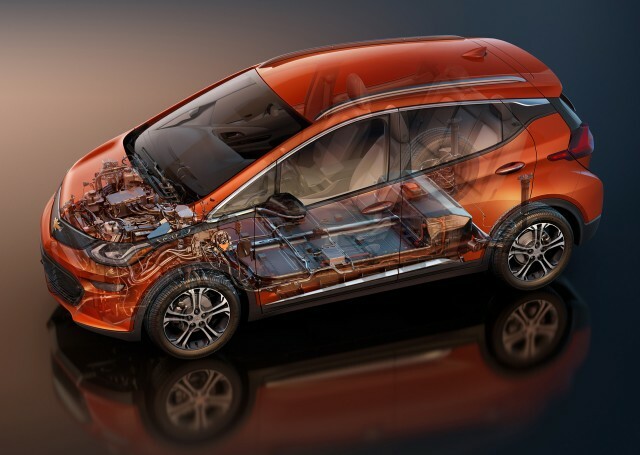 Our ideal electric car would be closer in design to my trusty 2000 Honda CR-V, with great visibility and comfortable seating. The old CRV met my needs nicely, and still ran perfectly in spite of its high mileage. We were ready for an electric car and knew our criteria, so in 2011, I took a Mitsubishi i-MiEV for a test drive and fell in love with it. It's a perfect car for zipping around town and handling heavy traffic. The downside was the i-MiEV's very limited mileage per charge (its EPA rating is 62 miles, the lowest of any battery-electric car). Worse, I knew that distance would decrease with time. My benchmark for usability was being able to transport us from home to the ocean for bike riding, about a 30-mile round trip. It is still able to do this—but barely. 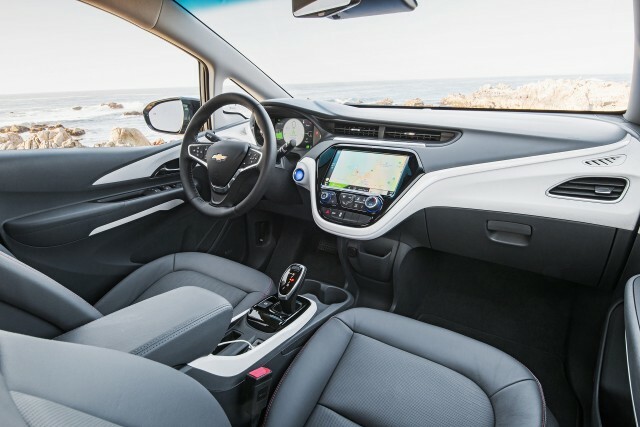 Then along came the Chevy Bolt EV. The preliminary reports were very good, and our CR-V was 16 years old and approaching its own retirement time. The planets fully aligned when I realized that I was also going to need a substantial tax deduction from the sale of a rental property. A visit to the dealer reinforced the initial media reports of its comfortable seating and good outward visibility. The dealer was only somewhat helpful with the details of the car, and as I had with the i-MiEV, I needed to research it myself and supplement the dealership's information with my findings. I’m getting used to dealers and their attitudes and limited knowledge about electrics. Ordering was simple: last fall, I built a Bolt EV on the Chevrolet website, picking the options, colors, etc. The dealer entered my specification into his ordering system, produced a price that matched the one I'd calculated, and pressed the button to send it to headquarters. He cautioned us that the car wouldn’t be ready until late February or March. I filed that in the back of my mind and didn’t think of it much more. Two months is a long time away. The phone rang two days later, and it was my salesman. They had received a small first shipment of Bolt EVs ordered before mine, and one prospective owner had "flaked out” on them. 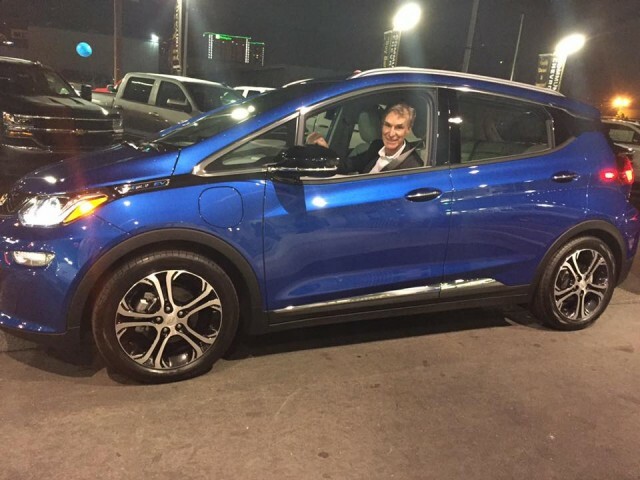 A Bolt EV was mine if I wanted it—and, it happened to be the exact model I ordered, down to the same Arctic Blue color! I was now the owner of a shiny new 2017 Chevrolet Bolt EV electric car, along with a well-used i-MiEV and an aged, reliable CR-V. I really like some of the systems that came with the basic Bolt EV model. 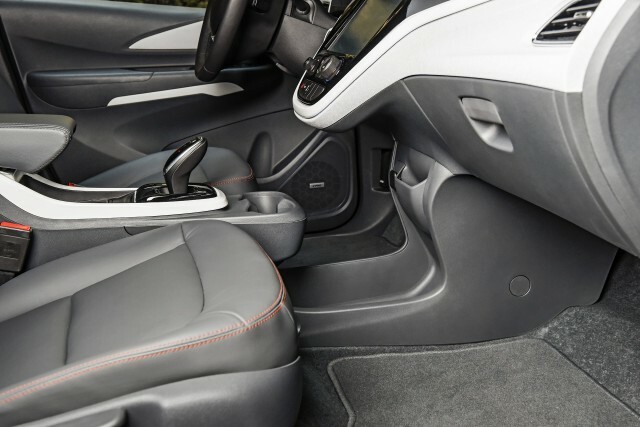 They include cruise control (not offered on the i-MiEV), seating adjustable for height as well as distance, and an adjustable steering wheel. I also appreciate the huge LCD center panel display, loaded with charging information, entertainment options, and ability to display app information from a smart phone via USB plug. Now I can get a good display of traffic and routing maps ported from my smart phone and displayed in the center of the dash, complete with voice commands. The Bolt EV also has OnStar telematics, combined with the ability to act as a Wi-Fi hot spot (a subscription option). One of the most pleasant surprises was the one-pedal driving. I’d previously learned to minimize energy usage driving the i-MiEV by using the setting for more aggressive regeneration when the car's not under power. 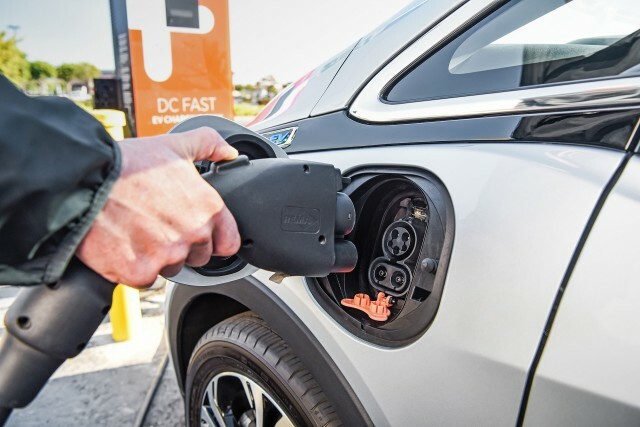 The Bolt EV extends this capability nicely, offering a seamless "Low" regeneration mode that can actually slow the car to a stop using every bit of deceleration energy available. I can make a complete trip to the store and back, without using the brake in traffic. The higher trim-level version of the Bolt EV includes lots of sensors for detecting lane wandering, cross traffic while backing, parking assist, forward collision alert, and more. I declined them while specifying my car, thinking that I’ve been driving for over 50 years, and can do that stuff on my own easily. It later occurred to me that these independent systems are a harbinger of an integrated self-driving system to come some years from now. When they have been perfected into a self-driving package, I’ll be ready for them. The Bolt has a rather stiff ride, which I like, but other people with many aches may not. Its steering is quick and responsive, with a heavier feel than the Mitsubishi. but it has the same low center of gravity because of its battery placement under the floorpan. There's also a “Sport Mode” switch, which allows you to boost the power to a tire-spinning drag-strip level of acceleration. Of course, I would never use that ... unless some young punk pulls up to me in a Corvette and sarcastically gave me the thumb-up sign. Then maybe I’d be tempted to push that switch. All in all, we love our Bolt EV. It's like GM's engineers wised-up about the huge potential market of older buyers: we want a practical , comfortable car with acceptable distance capability, good visibility and accessibility, in a high-tech package. Also, no road noise to bother our hearing aids. And of course, the ability to accelerate away from stoplights on a par with the occasional muscle car—but only when absolutely necessary. Do your homework when buying. You need to be better informed than the salesperson—who may not have the information, or may be incorrect. Don’t believe the range rating on the window sticker. Usually the warranty info in fine print will give you more realistic information about long-term use. Take that into consideration for your needs. Also, note that the rated range on the sticker assumes you are driving alone, not using the heat or the air conditioning, and not carrying any load. If you have one electric car and one gasoline vehicle, decide at the start of the day who will get which car, based on estimated driving distance for each. The driver of the longer distance takes the electric to save on gas costs. It's a very effective strategy. Electric cars with lower ranges are clearly cheaper, but I feel that daily or twice-daily charges to keep them useful can be hard on a battery and might decrease their life. Our Bolt EV will only need about one charge each week: very battery-friendly. In the end, we've decided that with the Bolt EV, being a two-person household with two electric cars is now very doable for us.